Notes: Not applicable for X10-DAC. PCM up to 24bit /192 KHz sample rates when works with X10-DAC. Make sure all ports on terminal block are open (Turn clockwise to tighten, counter-clockwise to loosen). Insert wires into the terminal block in the correct order. Tighten down the screws the wires you have inserted. Try pulling each wire out of terminal block in order to insure that they are fastened securely. 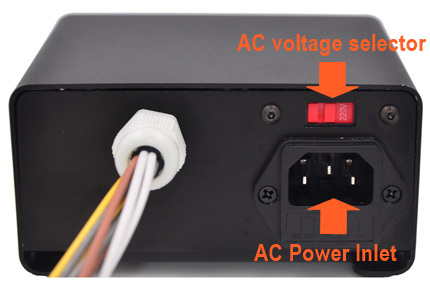 a) Make sure that you know what voltage is being supplied by the power outlet before setting the voltage selector switch and before connecting the power cord. 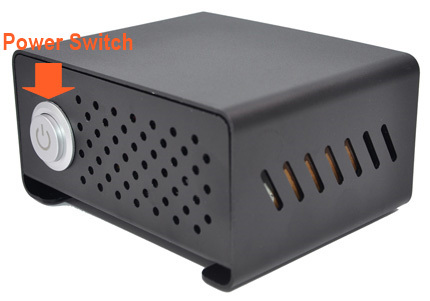 b) To switch the selection, unplug the power cord and use a small screwdriver to slide the switch to the opposite position. a) All AC output wires to the X10-PWR board are wired in the correct order. b) The power cable from X10-PWR board to Raspberry Pi pin header are correctly connected. c) The AC input voltage selector switch are correctly switched. 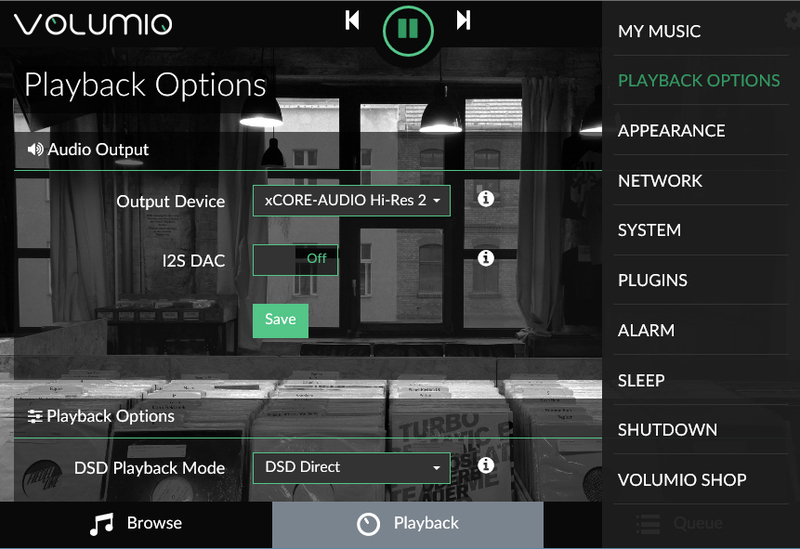 Select the“PLAYBACK OPTIONS”menu, Turn off "I2S DAC" and select "xCORE-AUDIO Hi-Res 2" under“Output Device.” Then reboot and you are done. 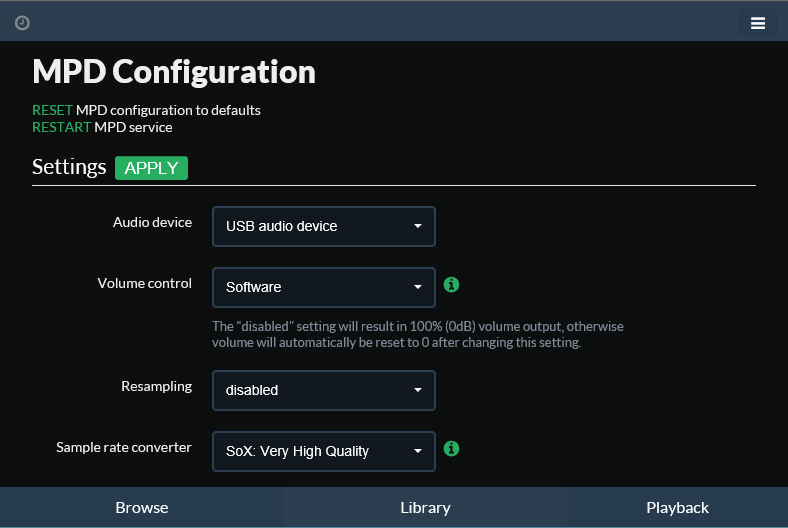 Simply select the“Configure”menu, select "MPD" under "configuration settings", then select "USB audio device" under "Audio device", Then click “APPLY" and reboot.